Hey guys, today I will be talking about talking about top Android OS for PC, but before I do, did you know android has been the most used OS since 2017? Well if you don’t know, now you know. This pops the question How come Android is the most used OS? Android OS is the most used because it provides its users with a lot of customization options, a very sophisticated but easy to use App store which makes the user install literally any apps needed by him/her and a beautiful cools UI. Being an Open Source operating system with a lot of cool features have prompted a lot of tech companies to create varieties of OS based on it, which brings us to the topic of today, top 8 Android OS for pc without further ado let’s get to it. This OS like most OS designed before was an effort to bring the Android OS to the PC world, it seems this OS is more than effort cause this OS is arguably the best Android OS for PC. This OS provides its user a blissful full Android OS functionality. Just so you know this OS was released in late 2017. To read more about this OS click here and to download this Android Os click the download button below. This is android based os that was created by JIDE company in early 2016, like all Android base OS Remix OS was also designed to allow PC owners to enjoy Android function. Remix OS has some requirements issues cause it only provides Android functionality to only Intel-based PC. Although Remix OS development has been discontinued, the OS still holds a spot has one of the best and most used OS. For more information about Remix Os click here and to download use the link below. This is another Android OS for PC that was specifically designed to give PC users a taste of how wonderful Android OS can be. Openthos also provides its user a full Android functionality but like Life this OS has it own con which is its requirement, Openthos can only run on a 64-bit computer and this computer must support x86 operating system. For more information about OpenthOS click Here and to download this OS click the download button below. Android x86 was OS that started as a patch to the Android Source code but later turned out to be an Android-based OS of its own. 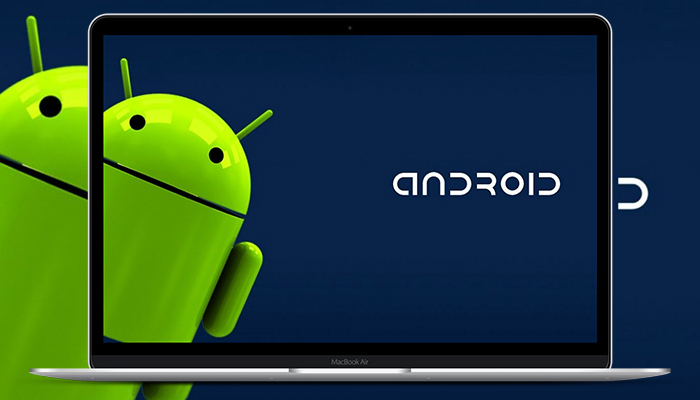 This is OS was designed to port Google’s Android OS to run on devices powered by AMD and Intel x86 processors. This OS comes with a lot of features similar to the main Android OS. To read more about Android X86 click Android-X6 and for downloading use the download button below. Next on the list is Phoenix OS, it was created a Chinese tech company, this was believed to be Remix OS biggest competitor because like all the Android-based OS mention earlier it provides PC user with Android cool features specifically Intel-X86 based PC. To read more about Phoenix OS click Phoenix OS and use the download button below to download Phoenix OS. For more information about this OS and download link, use the download button. PrimeOS is another great Android OS for laptops and PCs. It provides a clean, attractive interface and a desktop-like experience. It is primarily aimed at the gaming segment, so, if you’re a gamer this is what you’re looking for, PrimeOS will give you that immense view and Android feel on laptops or PCs. Like RemixOS, it also comes with a key mapping tool – DecaPro, to let you easily map your keyboard and mouse for controls. it’s one the best Android OS for PC out there and I really recommend you give it a try. Find more information on PrimeOS and download link in the download link below. Here goes another Android OS for PC, Lineage OS is one of the most used Android OS on Android smartphone and now fans can install it on PC for a desktop-like experience. lineage OS for PC was first released in early 2017, it was built on the Android-X86 project and based on Android version 6 (Marshmallow), Lineage OS is also an Open Source Operating System with it latest version being Lineage 15.1 which was released in February 2018. For more information about this OS click Lineage OS and for downloading use the download link below. That’s it on our best 8 Android OS for PC 2019. 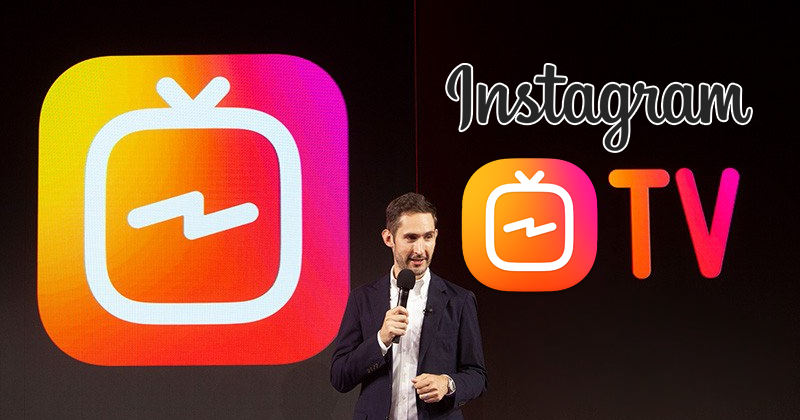 If you find this post useful, don’t forget to like and share. Also, if you have any other suggestions, let us know in the comment section below. November is a month of greatness, where we have festivals like Diwali, Cape Town Kite festival, Thanksgiving and so on, speaking of Thanksgiving I believe we all know the word Black Friday, for those who don’t know let me take my time to explain. Black Friday is a day we all don’t want to miss reason being it is a day we get an exclusive discount from your favourite shopping mall like Amazon, ASOS, Jumia, Konga, Aliexpress and many more so we would be able to afford those gadgets and accessories we have got our eyes on since forever. 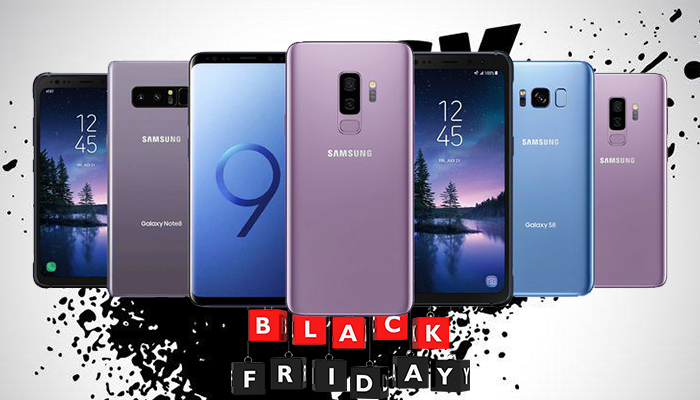 I believe that after knowing what Black Friday is you would be wondering what are the things you could buy come this Black Friday, well you all should wonder no more because Networkedpoint has got your back on this one because this article would be letting you know the best Samsung phones worth buying come this Black Friday. The South Korean tech giant has released a number of devices this year and if you haven’t been able to lay your hands on any of the 2018 Samsung phones due to low budget, well Black Friday is just around the corner and we’ve put together a few recommendations. Samsung Galaxy A8 (2018) is a great smartphone. Even though it falls under the mid-range category, the device houses incredible features. Galaxy A8 comes with a 5.60-inch Super AMOLED edge-to-edge display with an 18.5:9 aspect ratio display with a resolution of 1080 pixels by 2220 pixels. The device is powered by Samsung’s own 2.2GHz Exynos 7885 processor and it comes with 4GB of RAM. The phone ships with 32GB of internal storage and can be expanded up to 256GB via a microSD card. It runs Android Nougat 7.1.1 OS with Samsung Experience UX. In the camera department, the Galaxy A8 (2018) holds a 16-megapixel rear camera and a 16-megapixel selfie camera. The device runs Android 7.1.1 Nougat OS and has a built-in 3000mAh battery to get you going. It weighs just 172.00 grams and has connectivity options like Wi-Fi, GPS, Bluetooth and NFC. Sensors on the phone include Compass/ Magnetometer, Proximity sensor, Accelerometer, Gyroscope and Barometer. Samsung A8 cost about $400. Samsung Galaxy A8+ (2018) smartphone was launched in December 2017. The phone comes with a 6.00-inch touchscreen display with a resolution of 1080 pixels by 2220 pixels. Samsung Galaxy A8+ (2018) price in India starts from Rs. 28,950. The Samsung Galaxy A8+ (2018) is powered by Samsung’s Exynos 7885, 1.6GHz octa-core processor and it comes with 4GB of RAM. The device packs 32GB of internal storage that can be expanded up to 256GB via a microSD card. As for the camera, the Samsung Galaxy A8+ (2018) is equipped with a 16-megapixel primary camera on the rear and a 16-megapixel front shooter for selfies. The Samsung Galaxy A8+ (2018) is powered by a 3500mAh. It measures 159.90 x 75.70 x 8.30 (height x width x thickness) and weighs 191.00 grams. It runs Android 7.1.1 OS with Experience UX by Samsung. Connectivity options include Wi-Fi, GPS, Bluetooth and NFC. Sensors on the phone include Compass/ Magnetometer, Proximity sensor, Accelerometer, Gyroscope and Barometer. A8+ cost around $400. Samsung Galaxy A9 is one of the best Samsung phones to launch in 2018. The phone falls under the mid-range category, however, it houses specs that could make one pick it for a high-end device. It comes with a 6.30-inch touchscreen display with a resolution of 1080 pixels by 2220 pixels. The Samsung Galaxy A9 (2018) is powered by Qualcomm Snapdragon 660, octa-core (4×2.2GHz + 4×1.8GHz) processor and it comes with 6GB of RAM. A9 (2018) bags 128GB of internal storage and can be expanded up to 512GB via a microSD card. The interesting aspect of this device is that it packs a 5-camera setup (Single selfie cam and 4 rear cam). The main rear camera uses a 24-megapixel (f/1.7) sensor and a 10-megapixel (f/2.4) while the selfie cam is a 24-megapixel with led flash. The Samsung Galaxy A9 (2018) is powered by a 3800mAh. It measures 162.50 x 77.00 x 7.80 (height x width x thickness) and weighs 183.00 grams. It runs Android 8.0 with Samsung Experience UX. The Samsung Galaxy A9 (2018) is a Dual-SIM (GSM) smartphone that accepts Nano-SIM and Nano-SIM. Connectivity options include Wi-Fi, GPS, Bluetooth, NFC, USB Type-C, 3G and 4G (with support for Band 40 used by some LTE networks in India). Sensors on the phone include Face unlock, Fingerprint sensor, Compass/ Magnetometer, Proximity sensor, Accelerometer, Ambient light sensor and Gyroscope. Galaxy A9 cost about $724. Samsung Galaxy S8 was launched in March 2017. It comes with a 5.80-inch curved edge touchscreen display with a resolution of 1440 pixels by 2960 pixels at a PPI of 570 pixels per inch. The Galaxy S8 is the first Samsung phone to do away with the popular home key button, it renders a full edge-to-edge display with slimmers bezels compared to other S devices. The Samsung Galaxy S8 is powered by Samsung’s Exynos 8895, octa-core (4×2.35GHz + 4×1.9GHz) processor and it comes with 4GB of RAM. The phone packs 64GB of internal storage and can be expanded up to 256GB via a microSD card. As far as the cameras are concerned, the Samsung Galaxy S8 packs a 12-megapixel (f/1.7, 1.4-micron) primary camera on the rear and an 8-megapixel front shooter for selfies. The Samsung Galaxy S8 is powered by a 3000mAh non-removable battery. It measures 148.90 x 68.10 x 8.00 (height x width x thickness) and weighs 155.00 grams. The Samsung Galaxy S8 is a single SIM (GSM) smartphone. Connectivity options include Wi-Fi, GPS, Bluetooth, NFC, USB Type-C, 3G and 4G. Sensors on the phone include a Fingerprint sensor, Compass/ Magnetometer, Proximity sensor, Accelerometer, Ambient light sensor, Gyroscope and Barometer. Samsung Galaxy S8 cost about $650. As we all know, Samsung Galaxy S8+ is a higher version of the standard S8, it also launched in March 2017. S8+ features a 6.20-inch curved edges touchscreen display with a resolution of 1440 pixels by 2960 pixels at a PPI of 529 pixels per inch. The Samsung Galaxy S8+ is powered by Samsung’s Exynos 8895, 1.9GHz octa-core processor and it comes with 4GB of RAM. The phone packs 64GB of internal storage which can be expanded up to 256GB. The cameras remain the same as the standard S8, a 12-megapixel primary camera on the rear and an 8-megapixel front shooter for selfies. The Samsung Galaxy S8+ is powered by a 3500mAh non-removable battery. It measures 159.50 x 73.40 x 8.10 (height x width x thickness) and weighs 173.00 grams. The Samsung Galaxy S8+ is a single SIM (GSM) smartphone. Connectivity options include Wi-Fi, GPS, Bluetooth, NFC, USB OTG, 3G and 4G (with support for Band 40 used by some LTE networks in India). Sensors on the phone include Compass/ Magnetometer, Proximity sensor, Accelerometer, Ambient light sensor, Gyroscope and Barometer. Samsung Galaxy S8+ cost about $700 – $ 750. Samsung Galaxy Note 8 is an incredible device and one of the best Samsung phones till date, it was launched in August 2017. It comes with a 6.30-inch touchscreen display with a resolution of 1440 pixels by 2960 pixels. Note 8 is a great phone for office and home use, with the S-Pen it gets even better. The Samsung Galaxy Note 8 is also powered by Samsung’s Exynos 8895 octa-core (4×2.3GHz + 4×1.7GHz) processor and it comes with 6GB of RAM. It uses a 64GB of internal storage like the S8 and can be expanded up to 256GB via a microSD card. In the camera department, the Samsung Galaxy Note 8 packs a 12-megapixel (f/1.7, 1.4-micron) primary camera and a 12-megapixel (f/2.4, 1.0-micron) secondary camera on the rear and an 8-megapixel front shooter for selfies. The Samsung Galaxy Note 8 is powered by a 3300mAh non-removable battery. It measures 162.50 x 74.80 x 8.60 (height x width x thickness) and weighs 195.00 grams. The Samsung Galaxy Note 8 is a Dual-SIM (GSM and GSM) smartphone that accepts Nano-SIM and Nano-SIM. Connectivity options include Wi-Fi, GPS, Bluetooth, NFC, USB OTG, USB Type-C, Headphones, 3G and 4G (with support for Band 40 used by some LTE networks in India). Sensors on the phone include a Fingerprint sensor, Compass/ Magnetometer, Proximity sensor, Accelerometer, Ambient light sensor, Gyroscope and Barometer. Samsung’s Note 8 cost around $500 – $700. Samsung Galaxy S9 is the successor to S8, the S9 was launched in March 2018. Galaxy S9 design remains as that o it predecessor, it comes in the same size and looks, a 5.80-inch touchscreen display with a resolution of 1440 pixels by 2960 pixels at a PPI of 568 pixels per inch. The Samsung Galaxy S9 is powered by Samsung’s Exynos 9810, octa-core (4×2.7GHz + 4×1.7GHz) processor and it comes with 4GB of RAM. Galaxy S9 comes with 64GB of internal storage that can be expanded up to 400GB via a microSD card. As for the cameras, the Samsung Galaxy S9 packs a 12-megapixel (1.4-micron) primary camera on the rear and an 8-megapixel front shooter for selfies. The Samsung Galaxy S9 is powered by a 3000mAh non-removable battery. It measures 147.70 x 68.70 x 8.50 (height x width x thickness) and weighs 163.00 grams. It runs the most recent Android Oreo Os with Samsung’s own Experience 9. The Samsung Galaxy S9 is a Dual-SIM (GSM and GSM) smartphone that accepts Nano-SIM and Nano-SIM. Connectivity options include Wi-Fi, GPS, Bluetooth, NFC, USB OTG, USB Type-C, 3G and 4G (with support for Band 40 used by some LTE networks in India). Sensors on the phone include Face unlock, Fingerprint sensor, Compass/ Magnetometer, Proximity sensor, Accelerometer, Ambient light sensor, Gyroscope and Barometer. Galaxy S9 cost around $600 – $750. Like the standard S9, Samsung Galaxy S9+ is a successor of the S8+ of last year. S9+ was launched in March 2018 along with the standard version. It comes with a 6.20-inch curved edge touchscreen display with a resolution of 1440 pixels by 2960 pixels at a PPI of 531 pixels per inch. The Samsung Galaxy S9+ is powered by Samsung’s Exynos 9810, 1.7GHz octa-core processor and it comes with 6GB of RAM. S9 sports 64GB of internal storage which can be expanded up to 400GB via a microSD card. In the photography sector, the Samsung Galaxy S9+ packs a 12-megapixel primary camera on the rear and an 8-megapixel front shooter for selfies. The Samsung Galaxy S9+ is powered by a 3500mAh non-removable battery. It measures 158.10 x 73.80 x 8.50 (height x width x thickness) and weighs 189.00 grams. It runs on Android 8.0 with Samsung’s Experience 9. The Samsung Galaxy S9+ is a Dual-SIM (GSM and GSM) smartphone that accepts Nano-SIM and Nano-SIM. Connectivity options include Wi-Fi, GPS, Bluetooth, NFC, USB OTG, 3G and 4G (with support for Band 40 used by some LTE networks in India). Sensors on the phone include Compass/ Magnetometer, Proximity sensor, Accelerometer, Ambient light sensor, Gyroscope and Barometer. S9+ cost around $750 – $900. You know the saying “save the best for last” this it is exactly what am doing. The Note 9 has been tagged the world’s most advanced smartphone released by the South Korean giant this year and arguably one of the best smartphone released in the year 2018. The Samsung Galaxy Note 9 comes with a 6.40-inch touchscreen display with a resolution of 1440 pixels by 2960 pixels. The Samsung Galaxy Note 9 is powered by Samsung’s Exynos 9810, 1.7GHz octa-core processor and it comes with 6GB of RAM. Unlike the Note of last year, Note 9 features a liquid cooling technology which helps it maintain a low temperature under extreme usage. The phone packs 128GB of internal storage that can be expanded up to 512GB via a microSD card. The Samsung Galaxy Note 9 packs a 12-megapixel primary camera on the rear and an 8-megapixel front shooter for selfies. The Samsung Galaxy Note 9 gets a battery boost to 4000mAh. It measures 161.90 x 76.40 x 8.80 (height x width x thickness) and weighs 201.00 grams. It runs on Android 8.1 with Samsung’s Experience 9 present. After seeing all these awesome Samsung phones, I believe you should know which of Samsung phone is worth buying this November Black Friday 2018. If you have any comment on what smartphone that should have made the list or shouldn’t have made the list drop them in the comment section and don’t forget to subscribe to get more articles like this. Android emulators are programs that allow you to run any Android app on a Windows PC. These emulators provide a virtual environment on your PC allowing the same Android mobile experience on PC. You can simply install any Android app of your choice, be it, chat app, games and others and use it the same way you use it on mobile. Android is the most widely used OS and provides a lot of features and possibilities for users. There are various reasons to why you may want to install an Android Emulators on PC. To have an immense view of Android apps (mostly games) on PC. As a gamer may want to use the mouse and keyboard for playing games instead of having to tap on the screen. To test third-party Android Apps before installing them on your smartphone, so you that download and install a malicious app on your phone. As a developer, you may want to test your application before sending it to any app store for users to download. You don’t have an Android device and would like to use the Android OS. So, whatever reason you have, running Android apps on PC is pretty simple and we’ve listed the top 10 Android emulators for PC 2108. There are a lot of Android Emulator out there, you can just download and install any, however, it’ll be nice if you know the system requirements of these Android Emulators before downloading because not all PC can run all the available Android emulator. So without further ado, let’s see the best Android emulators we’ve picks for you guys. BlueStacks is one of the best free Android emulators till date and the most widely used around the world. Bluestacks was launched in 2011, and since then it has drastically changed and improved since it launched. Although Bluestacks doesn’t provide an Android-like interface look you may be used to, it’s a great emulator and offers a lot of seamless possibilities. BlueStacks is available for download for both Windows and Mac and its free. Microsoft Windows 7 and above. Remix OS Player is another popular Emulator for running Android apps. Unlike Bluestacks Remix OS Player mimics Android Marshmallow UI and it has been optimized to be computer friendly. 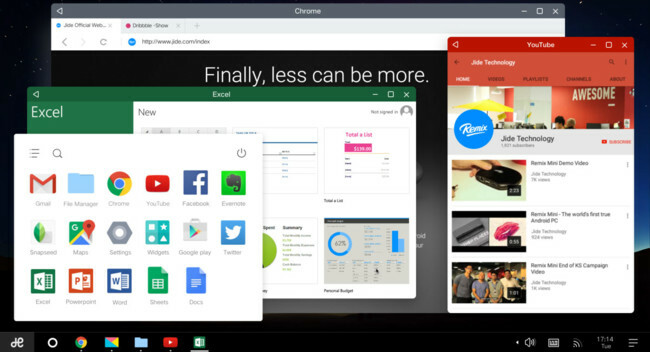 Remix OS is based on Android Studio and particularly optimized for game performance. While Remix OS Player is completely free, it requires a high-performance PC to run smoothly. Remix also comes as a full OS which can be installed on almost any PC, unlike the Player. See how to install Remix OS on PC. Nox App Player is a lightweight Android emulator and has a clean and tidy user interface. Unlike Bluestacks and Remix OS Player, Nox App Player can be installed on almost every PC and you can run games and heavy apps without losing performance. Nox is compatible with both Intel and AMD processors, it supports a wide range of Android game controls. Nox is based on Android 4.2.2 (Jellybean), and it’s available for both Windows and OSX for free. MEmu is another great Android emulator for PC and it has a smooth performance when playing games. MEmu also supports a wide range version of Windows from Windows 7 and supports all the latest graphics chips and cards from Intel, AMD and nVidia. Another interesting feature of MEmu player is that it supports Xbox and PS driver apart from keyboard and mouse. This means you can use your Xbox controller or PS controller with the emulator. MEmu is based on Android Lollipop with a simple interface. Unlike the above Android Emulators we already discussed, Genymotion Android emulator is targeted at developers alone. This Android emulator is used basically for testing Android apps on a variety of virtual devices with different versions of Android. Genymotion is compatible with Android SDK and Android Studio. Since Genymotion targeted at developers, it comes with lots of developers friendly features. This emulator might not be the right choice if you’re looking for an Android gaming experience. It is also available for Mac OS users and Linux. OpenGL 2.0 capable video card, with an up-to-date driver. Unlike Genymotion, Android Studio is basically for developers. While anyone can still opt for Genymotion, if you’re not a developer, you don’t need this Android studio. Android is a development IDE (Integrated development environment) developed by the tech giant Google itself to caters for developers. It comes with a bunch of integrated tools and plugins that lets developers build and test their apps easily. Android Studio comes with a built-in emulator, however, it has fewer features when compared to Genymotion. But still, Android Studio is the most used amongst developers. 1280 x 800 minimum screen resolution. 3 GB RAM minimum, 8 GB RAM recommended; plus 1 GB for the Android Emulator. 64-bit distribution capable of running 32-bit applications. KoPlayer is relatively new in the Android emulator space but also great emulator. KoPlayer launched in 2015 and it basically focused on bringing Android gaming experience to PC. KoPlayer renders a simple and clean interface and it works pretty smooth. It has a lot of other builit-in utilities and it’s completely free. Andy is an emulator based on Android Jellybean OS. Andy gives you stock Android experience and also allows you to download and run almost all Android apps and games directly on your computer. One of the best features of the emulator is that it provides unlimited storage capacity. You can run as many apps as you want with Andy. Another cool feature of Andy is that you can control remotely from your Android smartphone. You can run all messaging apps like WhatsApp, Snapchat, Telegram, Line, etc. and its available for both Windows PC and Mac. OpenGL ES 2.0-capable video card. Leapdroid also provides a stock Android experience like Andy and a simple user interface. This emulator is also based on Android Jellybean OS and it stands out as one of the best Android emulators. Unlike other Android emulators, LeapDroid offers clear built-in functions, which improves the user experience in games, apps, compatibility, etc. Dual-core AMD or the Intel CPU in the device. Graphical Processing Unit of GL2.1 and above. Requires 2GB RAM and higher for better performance. 2GB free disk space for lag-free performance. Droid4X is also an excellent emulator with the original Android operating system experience that you can run on your computer. With Droid4X, users will have a virtual Android device with individualized configuration and performance. Droid4X also allows you to download Android apps and games, and execute them on a computer screen quite conveniently. It has a version of Windows and Mac, while the iOS version is in development. Moreover, this emulator is very light, and it may seem similar to other emulators at first glance. However, it is distinguished from the others by including a remote control utility available to install on your smartphone. Dual Core CPU supporting virtualization technology. With every Android Emulator out there, you might come across some minor bugs as all these Android Emulators are not completely bug-free but its nothing to worry about, you can still enjoy any of the above emulators without any issue whatsoever. So, that’s it on our top 10 Android Emulators for 2018, if you like it don’t leave without using the share button.